Bob Frassinetti, Entrepreneur in the World of art, art collecting and international antiques dealer Topic: Bob Frassinetti Bob Frassinetti, Entrepreneur in the World of art, art collecting and international antiques dealer as well as free lance journalist from Argentina, Buenos Aires, working on the web, writing both for pleasure and work on art, antiques and collectibles, in and on Buenos Aires, Argentina as well are neighbouring countries, Chile and Uruguay. 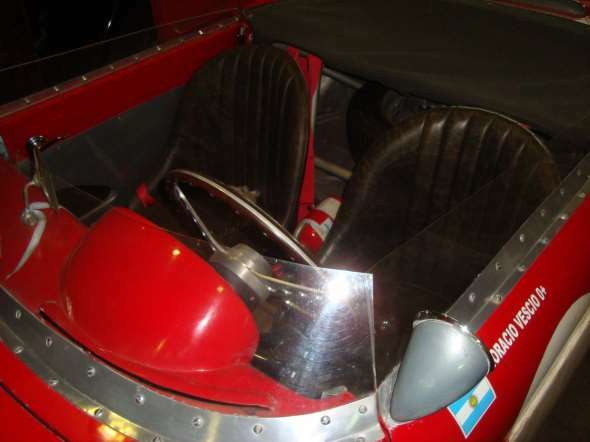 "I've written for several Travel Adventure, Art & Antiques Magazines on and off the web and have researched Toys made here in Argentina, as well as Travel Adventure from Route 40 and Lighthouse Adventures along the Atlantic and Pacific coast, following like always the Dakar Rally, ..Join me now as we are “Building a Gallery Museum in the Province of Cordoba” Real Estate Investment in Art Bricks and Land, we are and have purchased Land for building and cultivating Cactus Pear Fruit, and then processing it into wine and Vodka, we are Building a Gallery Museum to Exhibit local Art and Artist as well as our exclusivity Art and Toy Museum Collection, at Villa Tulumba, also known as the Villa of the Valley of Tulumba, a small colonial village over 300 years old and boasts itself as a open air museum due to its Cathedral and many old buildings , rich in its history and folk traditions........ Travelling for Art and Antiques" in all South America and I have been on line since 1996 . Exporting Art and Antiques World Wide Living with art and antiques and travelling the south of South America. Argentina, Chile and Uruguay La Lucila , Vincente Lopez, , Buenos Aires 2014 Argentina +54 911 44753983 admin@frassinetti.com Specialities: art, antiques, vintage art, vintage antiques, travel guide, art dealer, tractor, old engines, old cars, classic cars, vintage cars, vintage tractors, steam tractors, travel Argentina, Chile, Uruguay, america, pampa lanz, lanz pampa, lanz bulldog, Paraguay, art and antiques, art, antiques, travel tour Argentina, Toys made in South America, free lance journalist. It’s hard to find a matching mate, but there are perfect spots to fall in love. Passion for art exudes sensuality, brains and an interesting spirit. “Museums and Art galleries are places to fall in love” states a new 24 Hour Museum survey for Museums and Galleries Month 2006. British study that revealed that a lot of their frequent comers had fallen in love right in their own galleries. According to this report, Victoria and Albert Museum is considered the most romantic place in London. People say that numbers don’t lie, so here’s an interesting fact: 20% of the 500 participants of the survey said that they had fallen in love in either British Museum or Art Gallery. Together with Victoria and Albert Museum, other very romantic museums are National Portrait Gallery, Tate Gallery of St. Ives and the Tower of London Museum. The encouraging statistics also showed how museums are a source of inspiration, with a remarkable 24% saying they had made a life changing decision whilst on a visit. Every travel magazine to major newspapers from around the globe has included Buenos Aires as one of the hottest, most interesting, posh and hip hop locations to visit. Surely you've heard some things about this South American capital. May be you know about our Food & Wines. That B’s A’s is the birthplace and capital of Tango. That we love Soccer and we love beautiful women. May be you know that Buenos Aires is also known as the South American Paris because of it's superb beauty and high fashion sense. But this gorgeous city is much more than that, and is just what you're looking for your upcoming vacation getaway. We can make your stay in Buenos Aires an unforgettable experience of great living, just to fit your dream vacation. Our customized tour services are listed in both Lonely Planet Buenos Aires and Lonely Planet Argentina. Sophisticated, culturally rich and with an amazing Art scene, Buenos Aires is diverse and wonderful, and we know all about it: its history, culture, social life, hot spots and hidden treasures. Our personalized and customized tour services are specially tailored for YOU, to fit YOUR needs. So if you're expecting a group tour in one of those huge buses, having 5 minute stops at pre arranged "tourist" spots and a mass conceived service, we're afraid we're not the crew for you, but all the same we can refer you to a local tour operator that will take great care of you and your loved ones. What you will find with us, instead, is a small group of experts that will tailor a special tour circuit for you and your travelling partners. This is not a group service, we only tour travelling partners and we don't mix and match. We'll take you in and around in our private car, show you the city you're interested in discovering and enjoy each of the spots along the way. Our schedule is your enjoyment, we don't rush, we want you to enjoy and relax in your vacations and we handle everything for you to enjoy the best vacation. We customize services for leisure travellers as well as business men and women. Our 15 year expertise in the Art, Antiques and Collectibles world puts us in a privileged position to tailor art and antiques hunts for dealers from around the globe. We provide not only insightful information but also priceless contacts with the local dealer scene. We know the people, the goods and the market. The only thing you need to tell us is what you're looking for and we'll take it from there. We work from the minute you begin to plan your trip, to the second you finally receive the full container back home with all the goods bought in Argentina at fabulous prices that will get you a great profit rate, unmatchable. If you had bought in Paris, Rome and the rest of Europe for your Antiques so far, and you feel a bit uncomfortable with the high Euro, then Buenos Aires is the place for you. Top notch antiques and art, for reasonable wholesale prices and an experience of a lifetime. Our 10 year experience in developing cultural services and researching projects, internationally published articles as well as information provided to tour forums and websites around the planet are the ground foundation upon what we work to customize leisure travel of all kinds. If you're travelling to Argentina and Buenos Aires, we take personal care of you and your satisfaction. We will show you the best of Buenos Aires, take you to amazing places, introduce you to our cultural and social traditions as well as share the best of our cuisine and wines. Just you and us, you'll become a true local touring BA. We'll make sure you feel at ease and at home. We can handle everything, from flight and hotel reservations, and pick up rides to the airport to any side trip in and around Argentina or neighbouring countries. Documental "Los Amos del Universo"
Auctions in Buenos Aires are a great option for collectors, antique dealers and gallery owners from around the globe. The fact that Latin American art is growing worldwide in terms of prestige and acceptance is clear to us all. During the late 90s it was Christie’s auction house the pioneer who saw the market evolution line in the world of Latin American Art, antiques and collectibles. Back then the major and oldest auction house in the world and Argentina’s finest and most traditional auction house Naon, joined ventures to work in the local market. Since then, several auctioneers from around the globe began to work in the country. Sotheby’s owns an auction house in Buenos Aires, working very well. Local auctioneers such as Arroyo Gallery, Roldan, Bullrich, Banco Ciudad auctions, Sarachaga –just to mention some- are working strongly in the local and international scene. The fact that Argentine and Latin American artists are highly appreciated world wide together with the fact that Argentina beholds a rich collection of consecrated European and American artists, makes of this place a really appealing market for art lovers and dealers from all over the planet. Since Christie’s first auctions of Latin American for 2.5 million dollars in the early 1980s to the record sales in 1994 with 28 million dollars in auctions, the Latin Art is growing. the world market for native artists, when he sold his “The immigrants” painting for over half a million dollars. This week, Sotheby’s monthly bulletin reads: “Sotheby's year-end total for Latin American Art reached a record $28,263,000 - the highest amount of any auction house in the history of the field. Buoyed by the excellent quality of the works on offer, along with realistic estimates and an ever-widening group of buyers, the market for Latin American Art clearly increased its strength in 2005. From Colonial to Contemporary Art, from South to North America, this year's total set records that point to deep international interest across the wide range of movements and artists that comprise the overall Latin American Art market”. To buyers around the globe, Latin American auction houses are appearing more appealing by the minute, not only for the broader of the options, but also for the favorable exchange rates with European and American currencies. All in all, buying art and antiques in South America and Argentina in particular isn’t free of rules and paperwork to handle. There are specific regulations to follow, licenses are required and know how involved in acquiring and exporting art. Art dealer has a specialized team that handles everything in terms of art, collectibles and antiques auctions, and shopping, hunting and customized touring services. The planning begins before you arrive to the city, with conversations, directions and market research of the style, art and antiques you’re looking for. From the minute you arrive to Buenos Aires we handle everything from picking you up in the airport, hotel reservations, auctions scheduling, hunts to off the path markets and fairs, discounts, shipping and handling all the paper work regarding the exporting of the works. This is a great opportunity to work with and take advantage, but the best way to take the most out of it is by planning and working in advance. The story began back in the early days of 2006 when the municipal government of Buenos Aires decided to shut down the famous trade-mark flea Market temporarily. Arguing that after the Cromagnon tragedy-two years ago when during a rock n’ roll show a disco brunt on fire and 294 people were killed- all city security measures had to be tighter and places should stand by the necessary security regulations. A valid idea but it was a disguise to maybe a permanent lock out….. So, the government who was asking all the art & antique dealers and salesmen from the flea market to relocate elsewhere and set their business in new places until the rehab work was done did not agree to sign a legal document stating that all those working in the market would be allowed back to their “own shop spot” once the work was done. From February until last Friday, the local owners and workers had decided not to leave the market until favorable resolution…There was no such thing, the Justice authorized the eviction by force. Indeed a clear proof of the tight situation between the parties. Located at the intersection of Alvarez Thomas and Dorrego, this market –whose origins can be traced over 2 decades ago- has been not only an area trademark but also a treasure beholder. Together with the inside salesmen, a great number of locals and foreigners found in this particular market a wide variety of quality antiques, collectibles and vintage stuff that was of great cultural and symbolical value. Though it’s crucial that the market is set back in order within security, hygiene and environmental matters, the way the local authorities have proceed let many of us believe that there an intention of structural reorganization that would harm the original value of the place. Even more, a group of shop-owners have slipped the idea of the government wanting to turn the market into a shopping-mall like spot. This would not only leave the city without one great flea market but would also deprive a great deal of workers from their income provider. Even worst is the fact that violence has set the tone in this situation. Nonetheless, it seems that the final word has not yet been said, and we hope in our hearts that the government stands for its word in maintaining the originality and uniqueness of the Dorrego Market.